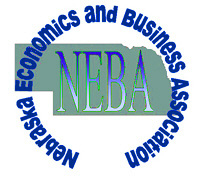 Nebraska Economics and Business Association (NEBA) is involved with issues and research on economics and business topics in general, and also focuses on issues and research related to the economy of Nebraska and the Great Plains. 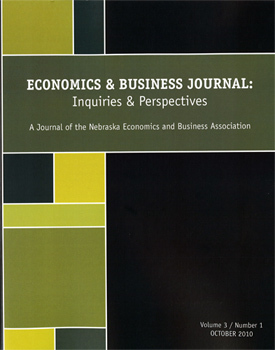 NEBA holds a economics conference each year in the Fall, and publishes an online journal, the Economics and Business Journal: Inquiries and Perspectives. CALL for Papers: Faculty and Student Papers. Deadline September 27. Any economics or business topic welcome.